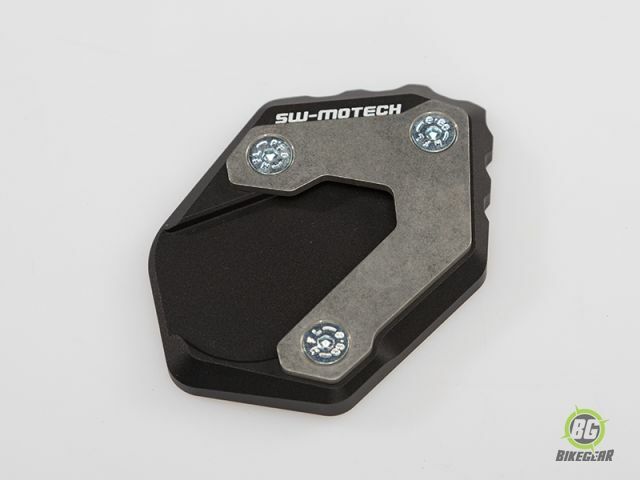 SW-Motech Sidestand Foot Enlarger increases the footprint of your kickstand to provide added stability on soft terrain or even hot pavement. 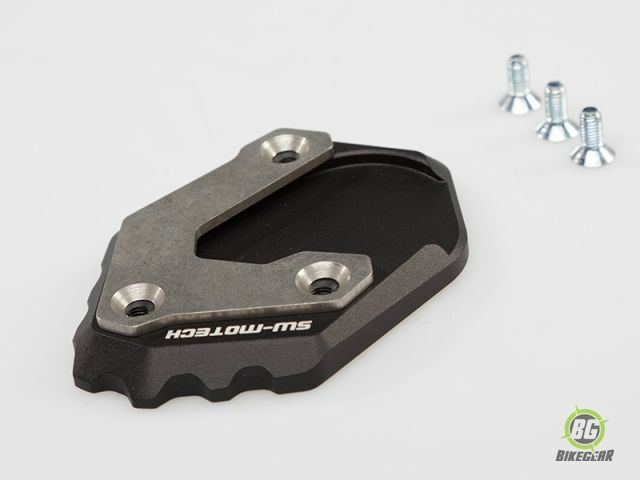 This SW-MOTECH Sidestand Foot Enlarger increases the footprint of your kickstand to provide added stability on soft terrain or even hot pavement. A high strength CNC machined aluminium base with stainless steel mounting plate is up to the task of supporting your GSA. Don’t let your bike fall over when the kickstand sinks, use the Foot Enlarger to ensure your bike always has the proper foundation no matter the surface. CNC machined high strength aluminum foot. Provides added stability on soft ground. Traction ridges make engagement of side-stand easier.